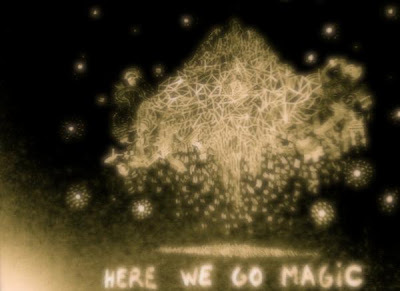 The blog world has been a-buzz of late over the new project from artist Luke Temple, Here We Go Magic. We gotta say, after getting it last week we fully agree, this record is aces. Temple's first effort under the HWGM moniker is, at times, sweeping and filled with subtle touches of analog synths and murky rhythmic patterns. Yet, the self-titled record still manages to sound wholly natural and home grown, with flashes of Temple's singer-songwriter roots shining through the haze at just the right moments. This looks to be one of the more creative and surprising records of the first part of 2009. Here We Go Magic comes out Feb. 24 on Western Vinyl. Here We Go Magic hits the road with Department of Eagles on the 17th with a stop at the Bowery Ballroom. Luke Temple plays a solo show at Le Poisson Rouge the night before (1/16). Full tour dates after the jump.